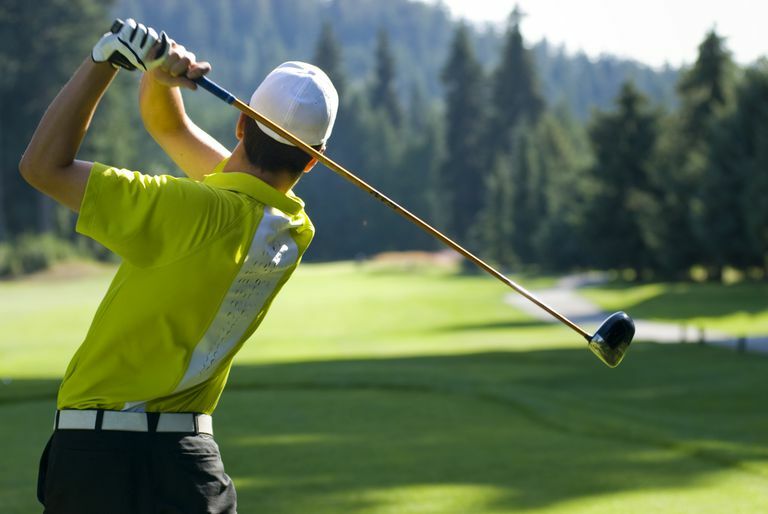 Patients with knee replacements may want to reconsider playing golf. Unfortunately, many patients with knee replacements are avid golfers looking to return to the course as quickly as possible. So why should knee replacement patients be concerned about golf? Both patients and doctors are interested in doing whatever they can to help ensure a knee replacement will last as long as possible. Improving implant design, ensuring replacements are properly inserted and aligned, and counseling patients on behaviors can all help to make replacements last as long as possible. The last of these ways to help make knees last is to give patients the best information possible to make their knee replacement last. There are activities that place more forces and stress on knee replacements, and because of this, surgeons will often ask patients to avoid impact sports activities such as running and jumping. However, there is not a lot of data to guide recommendations on which activities are best to avoid. How Much Stress on Implants? A study was done several years ago to quantify which activities cause the most stress on knee replacement implants. A handful of patients who required total knee replacement because of severe knee arthritis were outfitted with special knee replacement implants. Embedded inside these implants were pressure sensors that could provide accurate information about when the implants experienced unusual forces and pressure. The study found, that as suspected, low-impact activities such as stationary bicycling placed very little stress on the knee replacement implants. On the other hand, activities such as running and tennis placed predictably higher stress on the implants. However, there were some surprises: golf placed some of the highest stress on knee replacement implants. Specifically, torsional forces on the leading knee of the golf swing were some of the highest forces tested. So the question comes up: should doctors advise their knee replacement patients to avoid golfing? You will have to discuss with your surgeon their specific recommendations, but I can assure you most surgeons don't advise patients to avoid golf. My goal is to give out information, and help patients place it in context. So here's the bottom line: we have limited information about which activities really place the most stress on implants, but that information indicates golf could be an activity that leads to more rapid wearing away of the implanted joint. That said, this was a very small study, that looked at one specific knee replacement implant. Knee replacement implant improvements may help address these concerns, and some particular types of implants may help patients who want to participate in activities that place particular stresses on the knee joint. When I am discussing what I think my patients should do, I share this research with them. I also acknowledge that there are benefits of golf of getting exercise, keeping weight down, and improving emotional health. It may be (and often is) worth the possible risk of implant longevity for knee replacement patients to participate in these activities that bring them fitness and joy. As mentioned, stating that golf could be damaging to a knee replacement implant was one of the most controversial statements I have ever made. Many patients emailed refuting this claim by stating their doctor told them they could golf. Just to clarify, this information doesn't say you can't golf, it merely states that those trying to avoid high stresses on knee replacement implants should avoid certain activities. The flip side of this argument is that stress on implants can also be increased by weight gain. Golf is an activity that keeps people exercising. Getting outside, walking, and moving around are all good for knee replacement patients. If a little golf is what keeps people moving, then perhaps the stress on the implant is worthwhile. D'Lima DD, et al. "The Mark Coventry Award: in vivo knee forces during recreation and exercise after knee arthroplasty" Clin Orthop Relat Res. 2008 Nov;466(11):2605-11.